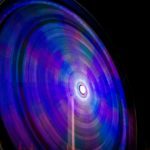 We have earlier discussed on circular motion in horizontal plane and in that context discussed in length about Centripetal force and Centrifugal force.Today we will take a few related items to discuss, which will not only strengthen your understanding on these topics but also take it to a higher level. Discussion pointers would be (1) circular motion in vertical plane and (2) Critical Velocity equation derivation. So let’s start! Circular motion in vertical plane has some basic difference with the same in horizontal plane. In the last post on Centripetal Force, we have showed that while rotating in a circle in Horizontal plane, the gravitational force has no role (no work done) on the rotating object. But during the circular motion in vertical plane, the role of gravitation is omnipresent. The Vertical circular motion also has a concept of critical velocity, which has no connection with horizontal circular motion. The minimum velocity of an object having circular motion in a vertical plane, at the highest point of the rotation is called Critical Velocity. If the velocity falls below this at the highest point then the object will not be able to continue in its circular path. Please note this concept of critical velocity is applicable only for vertical circular motion. Let’s take a rock of mass m tied to a light and inextensible string and start to rotate it along a vertical circular path of radius R.
What can be observed from its motion? Yes, it’s not uniform. While descending from the highest point (A) of the circular track to the lowest point B, its velocity gradually increases. Also the tension of the string increases gradually as the rock comes from A to B. If you rotate the rock with the string tied with your finger, then you can feel this difference. Let’s consider that the velocity at A and B are V1 and V2 respectively. Here we have to consider the Tension in the string as well. As we know, Centripetal Force is a real force which has to be provided by some agent/s or it’s to be generated by the mutual interaction of multiple agents in a system. Now we will analyze with Free Body diagrams to find out who supplies this centripetal force at point A and B. So these 2 forces are mutually acting to supply the required Centripetal force at point A. Now considering the position of A, all these 2 vectors are pointing vertically downwards i.e. towards the centre. (i)The weight (mg) of the rock is acting vertically downwards. Now let’s move towards deriving the expression of Critical Velocity. At the highest point, let’s consider that the tension of the string is zero (T1 = 0) and the weight of the rock is sufficient enough to supply the centripetal force required to sustain the circular motion. Please note that, this is the minimum velocity at point A which can keep the rock in its circular path. If its velocity falls below this value, then the string will slack and the rock will drop down finally. 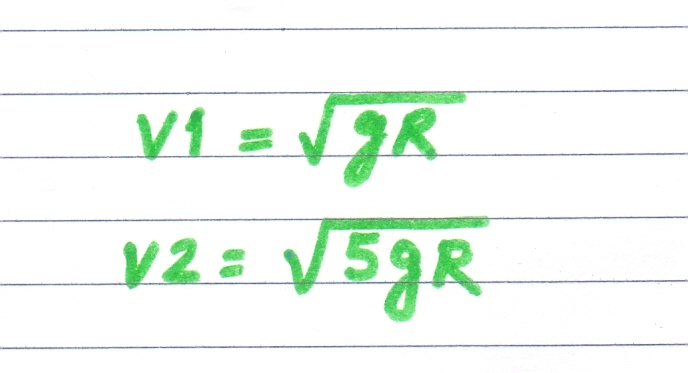 We can easily calculate the expression of minimum value of V2 at point B (lowest point of the circular path at a vertical plane), which is a must to maintain the Critical Velocity at point A (the highest point). This is the equation of the minimum velocity at the lowest point of a vertical circular motion path that is a must to avail critical velocity at the highest point of the same vertical circular motion path. Here we have studied the concepts of Critical velocity as well as derived its expression. Also we have derived the equation of the minimum velocity required at the lowest point of the circle, to attain just the critical velocity at the highest point of circular track. Hope you have liked the post on Critical Velocity. Now can you please do 2 things ? (2) Pls subscribe by filling in the tiny form up there to get my newsletters with updates and ebook links!